The 9972-KIT Wonder Wand Kit from Goodway is specifically designed to clean hard to reach condenser coils, especially newer micro channel coils. It can turn any pressure washer into a custom-designed AC coil cleaning machine. Designed to quickly connect to any standard pressure washer. 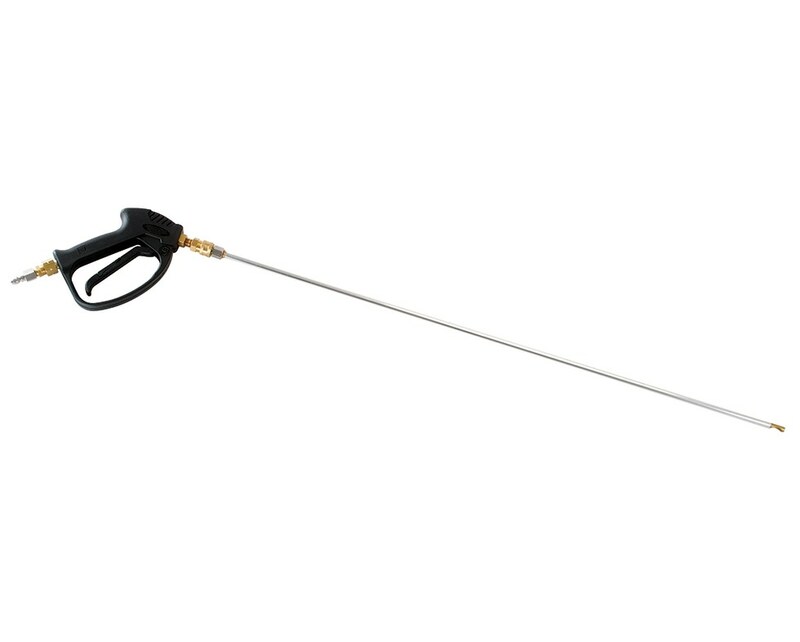 Spray gun and wonder wand (36" or 48") allow the operator to effectively clean outdoor air handlers, from the inside out. Comes complete with quick connect ends, spray gun and custom wonder wand with 90 degree spray tip. Available in 36" and 48".